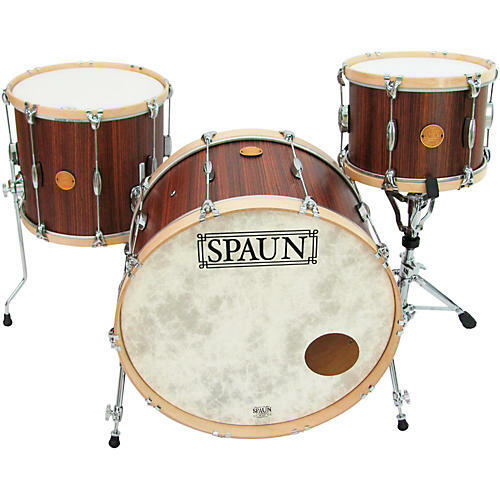 The Revolutionary Series by Spaun features "old skool" style and sizes, coupled with modern manufacturing techniques. A perfect blend of modern and classic features produces a rich, full sound and unique look. Features include 100% 8-ply maple shells for warm tone and rounded bearing edges for a darker more subtle voice. The drums are also fitted with beavertail lugs, a custom wood badges and chrome die-cast hardware.Also, the maple shells are covered with veneer of zebrawood. Bass drum(s): 24" x 14"